Closely following the market trend, Betrue Sporting Goods uses advanced production equipment and manufacturing technology to produce cycling bib shorts. The product receives favors from the majority of customers for the high quality and favorable price.Our oem sportswear are made of excellent materials in accordance with strict standards. They are of good quality, firm structure and solid color. 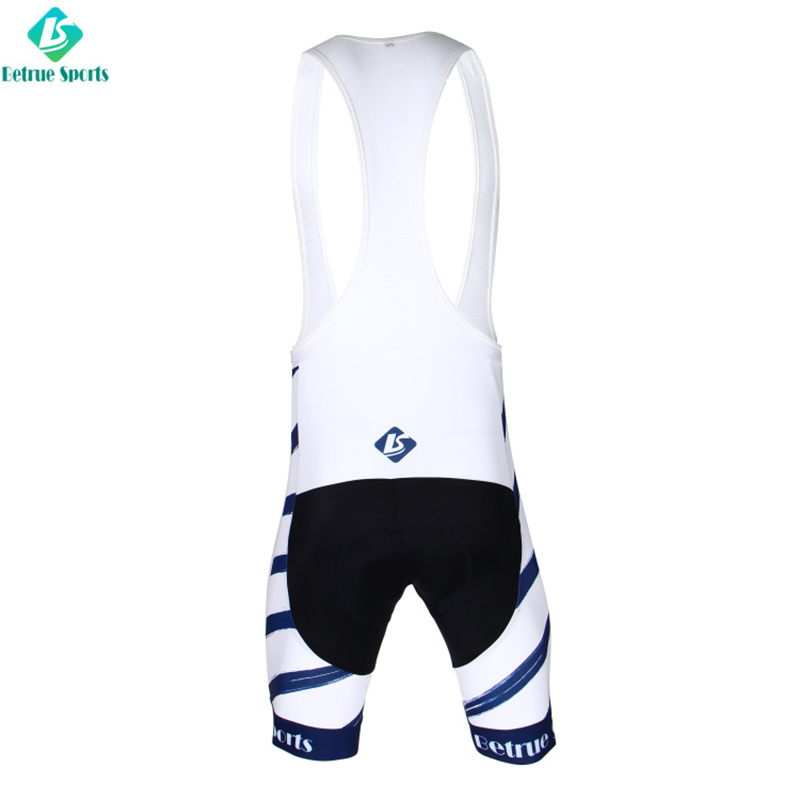 Moreover, they will not fade and deform after repeated washings.Compared with same kind of products in the industry, cycling bib shorts has the following highlights due to the better technical capability. Betrue Sporting Goods's custom cycling jersey has a wide range of applications.With many years of practical experience, Betrue Sporting Goods is capable of providing comprehensive and efficient one-stop solutions.Betrue Sporting Goods advocates a natural, energetic and healthy philosophy of life. Focusing on originality and individuality, we design and produce oem sportswear of simple style, stylish personality, and natural comfort. They are suitable for a variety of occasions. Their collocation and plasticity can maximize the self-style and promote you to experience the free concept of dress. 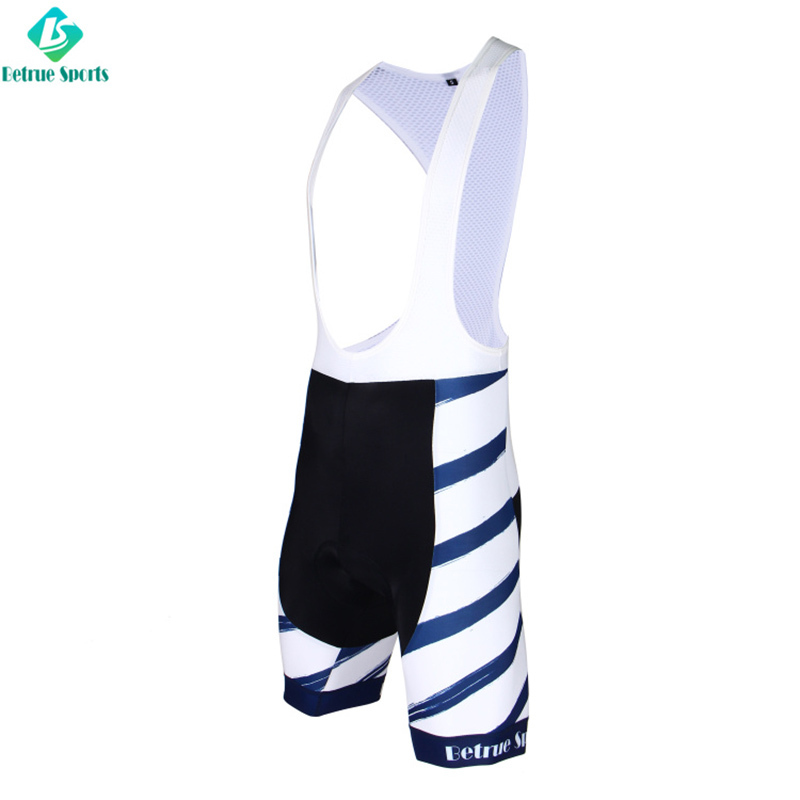 ◪ The men bicycle bib shorts use white, black and horizontal stripes, combined Italian and Chinese fabric for it. So is great price for it with excellent quality. 1. Guangzhou Betrue Sporting Goods Co.,Ltd. is a professional manufacturer and saler of cycling bib shorts. 2. Being strict in the quality assurance, our cycling bibs naturally gains its attention from customers at home and abroad.